The US dollar has initially fallen against the Japanese yen in a continuation of the selloff that we had seen on Wednesday. However, by the end of the day we had turned around to form a massive hammer. That hammer of course is a bullish sign but ultimately this is a market that continues to see a lot of volatility in general. We have the 50 day EMA just above, as well as the 200 day EMA. We reached all the way down towards the ¥110.50 level where buyers step back in.If we break above the top of the candle stick for the Thursday session, it’s possible that we could go to the ¥111.50 level. Alternately, if we break down below the bottom of the hammer, that would be a very negative sign and could send this market down towards the ¥108.50 level. 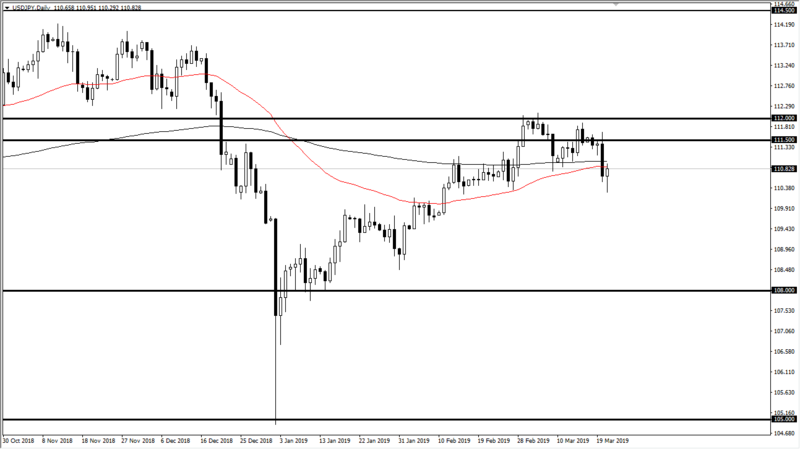 The Australian dollar initially tried to rally during the trading session on Thursday but sold off rather drastically. We have seen US dollar strength in general, which is a bit of a surprise after the Federal Reserve statement on Wednesday. That being the case, it’s very likely that we will continue to drift a bit lower. However, this pair is highly sensitive to the US/China trade talks, so that of course will be the biggest driver going forward. 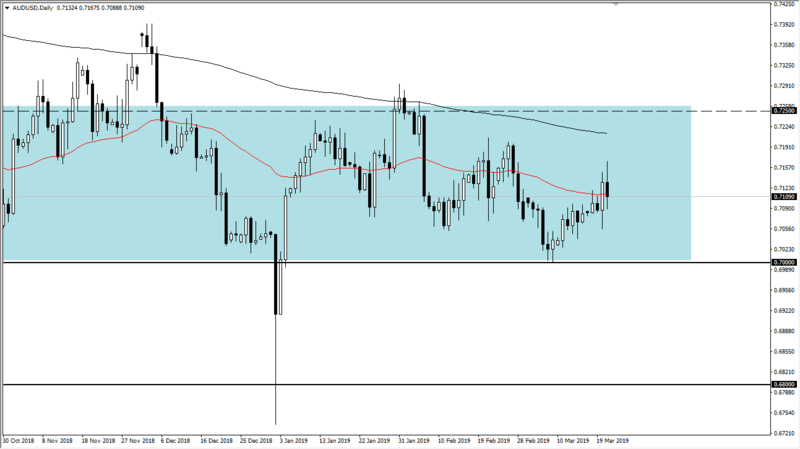 The 0.70 level underneath is massive support, and I believe it extends down to the 0.68 handle. Ultimately, if we were to break down below the 0.6 level and almost would have to be accompanied by some type of trouble in China, or a complete collapse of the trade talks.The most likely scenario is that we get buying opportunities on small dips that give us an opportunity to start buying for a small gain again.